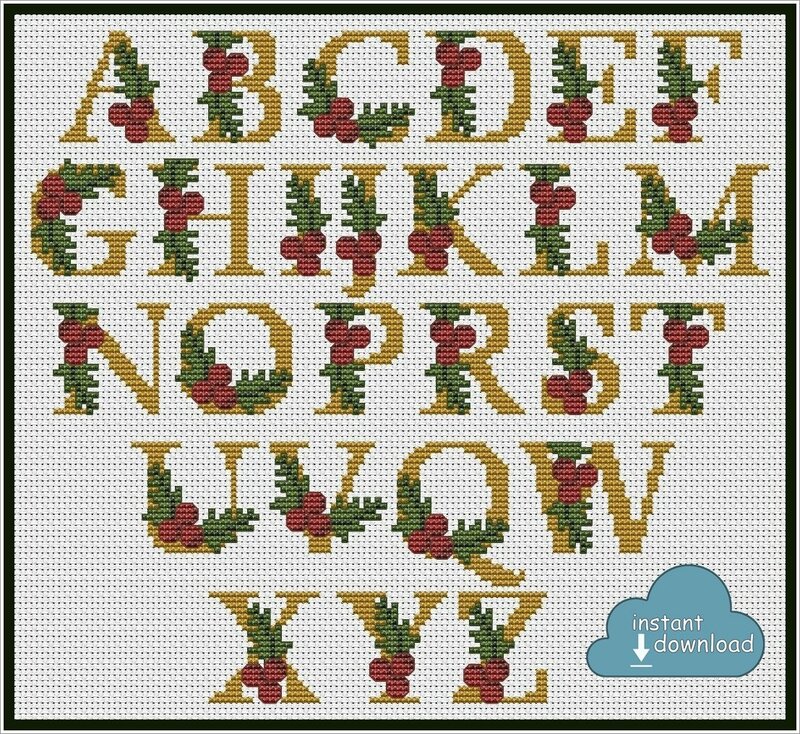 Traditional Christmas alphabet design. Nice dim-gold letters decorated with holly. Gentle color scheme, which you can vary to match your home interior perfectly. Very classy color combination. You can pick up one letter and embroider it as a monogram, or choose two ones for the initials, or even combine letters into a name – it’s all up to you! 1. Alphabet design pictures with no grid. 2. Large-grid PDF* chart of the design in colorblocks and symbols (for 14 count canvas). The chart is divided into pages for you to see the symbols clearly. 3. Floss usage info (20% extra per color is calculated already).